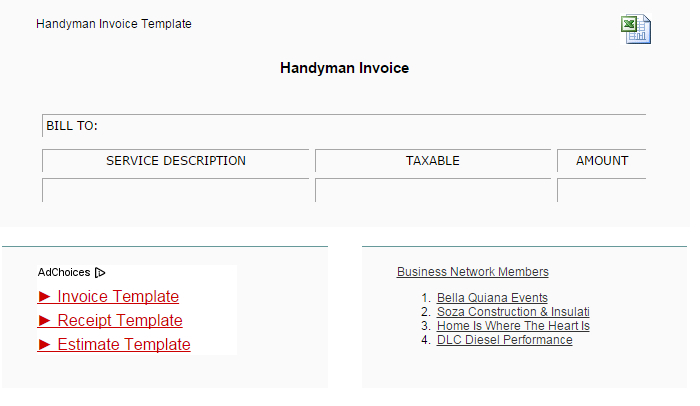 If you are running a handyman business form your home, you may find some of these invoice templates an useful addition to your business. Many of these templates are compatible with your basic software programs such as Microsoft and Adobe and can be easily customizable to your business. 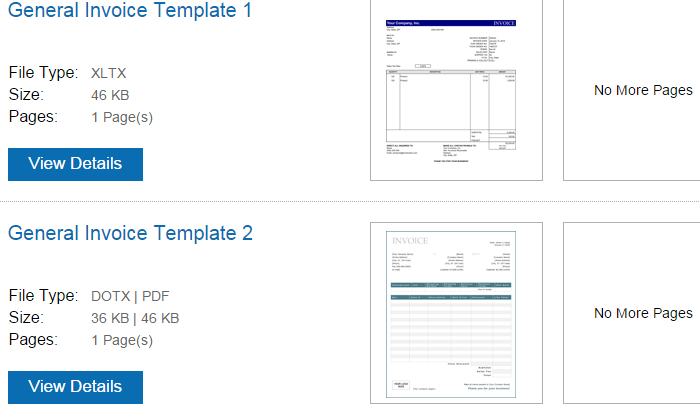 Help to increase your rate of collection with these invoice templates today. 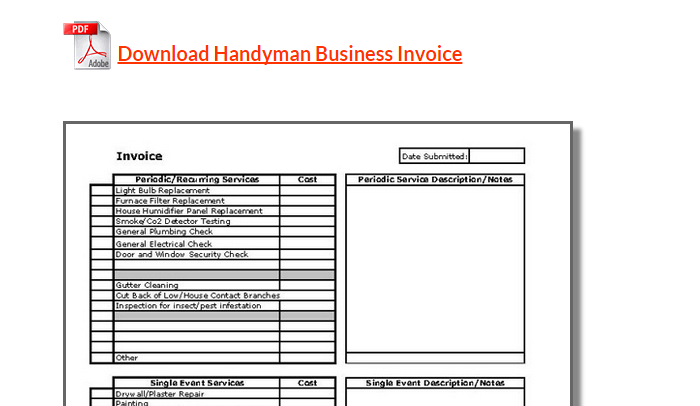 This handyman invoice template is basic in nature helping to outline the essentials of your business services and billable rate. You can also visit this site and gain access to a variety of other business resources such as purchase order forms, blank receipts, order forms, and credit agreements. The invoice template available on this site is for use with Microsoft Excel and is fully customizable. This invoice features a full color graphic in the top left corner and has available columns that outline price, quantity, and cost for your client. Download directly for free to use with Adobe in .PDF version or pay a lot cost to obtain a copy for use in Word and Excel. Hundreds of other template styles are also available on this site to review and download for alternatives. There are many services that can be rendered for use by a handyman. Due to this fact, this invoice provides a good way to cover recurring services or periodic services. Simple add in a short description of your single event or recurring event, cost of materials, tax, and billable labor before calculating your grand total. This template can be used in Adobe or Excel. Additional space is given for added personalization. This invoice template is perfect for use, helping to capture the quantity, price, description, and billable rate of labor for services rendered. Upload a logo to the top left corner and date before sending away to your client. While this invoice was created with software, you can access a free version that works in Excel. 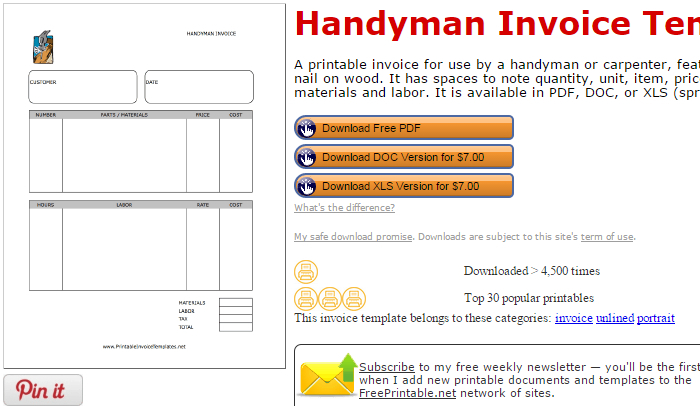 Download more than just an invoice for your handyman business at this site. 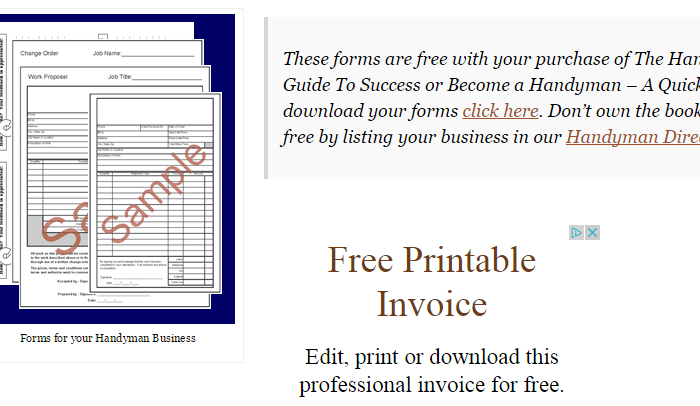 A short guide to success, directory, invoice template, and more free forms for your business are located here. Your invoice template is available in multiple sizes to include a full standard paper size, half size invoice, and mark up cost calculator you can use for setting your material prices. As a freelancer it can be difficult to find consistent work that pays you for services regularly. For whatever jobs you may obtained for yourself, these musician template invoices will ensure you are ready to bill and collect your payment immediately. Many of these templates allow you to state a description of services rendered, date, track, and outline the rate for your charges. 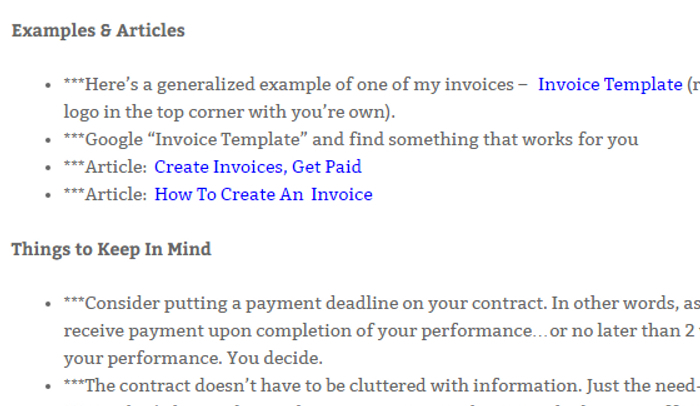 Here is a look at some of the easiest invoice templates available on the web. At Musician Wages, they recommend that any invoiice mailed to your client should be provided in a .pdf format to ensure it is easily opened and not altered. 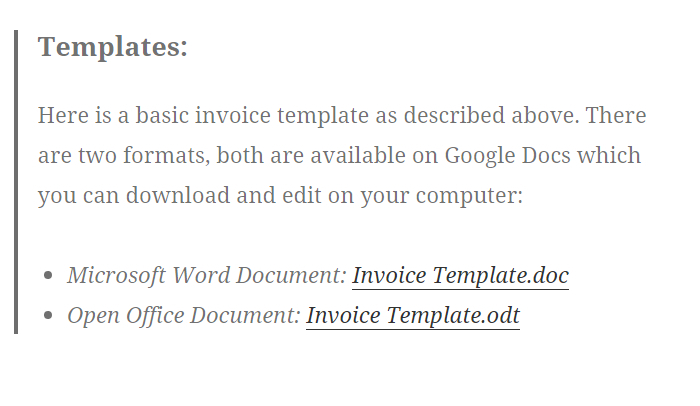 You can find an available invoice template that is downloadable from Google Docs on their website, helping to get you started. Simple make the desired changes and send over to your client to remit payment. 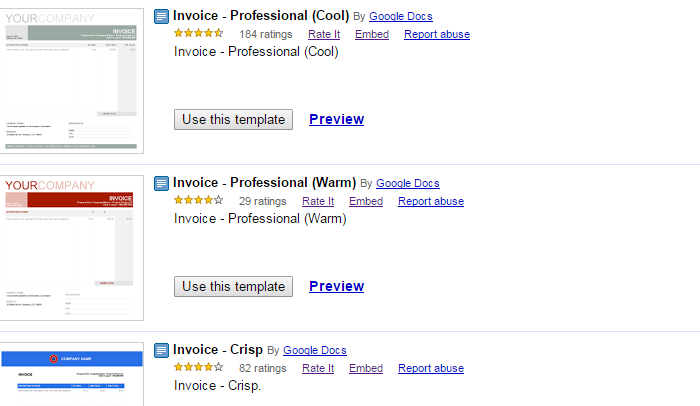 Google Docs offers their own variety of invoice templates to users. Locate an invoice that suits your color and design needs, making any desired changes before saving. Simply send to your client or share the direct link with them to preview and save. You can also download or print, dependinng upon your specific needs. These templates provide a good base foundation for your business. This invoice template includes the venue details, date, and time for your billable client. Perfect for brokers who arrange and pay the musician for their appearance, this invoice allows additional confirmationfor charges that can be supplied to the musician themselves. Use this as a basis for your own customized invoice or print yourself to use directly. 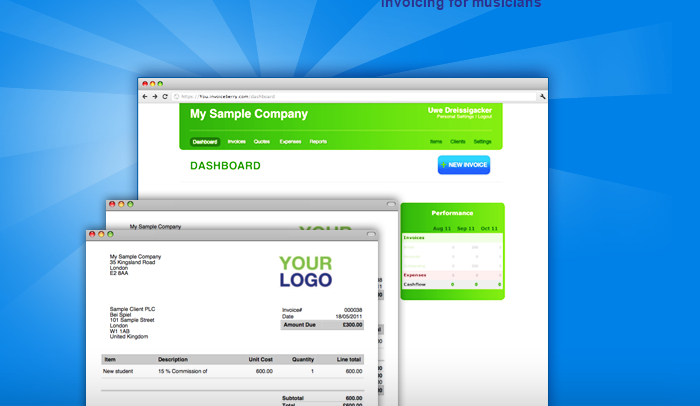 At Invoice Berry you can use their online invoicing and expense service tracking for free, providing a perfect and convenient solution to musicians, creatives, and freelancers alike. This will give you a professional look and add a convenient way to securely track payment, back up your billing, and send reminders for delayed collections. Visit their site directly to review their full service offerings. Any business and serviceable invoice requires the following information to be included with your billable document. To project your business as credible, make sure to incorporate your contact details, performance description and billable rate, agreed payment amount and signature to officiate. This will help to increase your rate of collection. 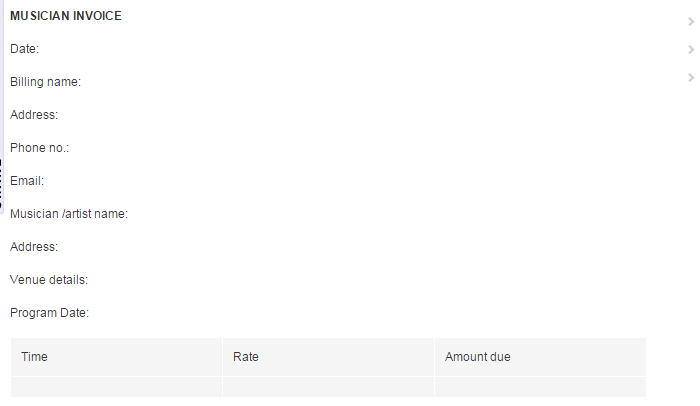 At GrassRootsy, you can find a simple invoice template with optional logo area placed at the top of the bar. Additionally, you can review their articles on how to create an invoice and get paid. At TidyForm, you can locate dozens to hundreds of invoice templates that work with Excel, Word, or Adobe. These provide a multitude of solutions and designs that will work with your business to ensure your correctly communicate the total amount due to your for services rendered. Simply search through their database and downloading directly to your computer.